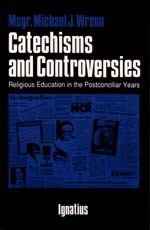 As its very title indicates, this work is controversial since, for the first time a case history of efforts to undermine an authentic catechesis, or handing on of the faith in the United States and elsewhere is set forth, so that the extreme necessity for a Catechism for the Universal Church will be made evident. Finally, strageties for the proper implementation of the the Catechism for the Universal Church are set forth in light of the demostrated efforts by special interest groups to set aside the importance of documents such as the General Catechetical Directory, To Teach As Jesus DId, and Catechesi Tradendae. This is not a dry book rather a quick paced look into the questionable agendas of certain groups who want to impose there world view on the rest of the church.